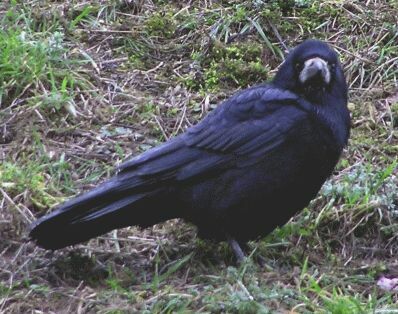 The Rook is a common species for the Czech Republic. Many pairs are breeding here, mainly close larger towns in lowland parts of Bohemia and especially Moravia. Our birds are supposed to winter in southwest (France) while in our area we can see thousands of birds from northeast (known ring recoveries from Moscow region). Since 2000 a special interest was dedicated to the wintering behaviour of rooks. Daily dispersal from winter roost was studied by different means including radiotracking. In last three years we collected data about the winter distribution and quantity of wintering birds within the Czech Republic. Roosts are relatively stable, mainly large ones, but they can shift few kilometers apart within one winter or between winters. Total winter counts do not exceed 500 000 birds. Rook winter roost colonies within the Czech Republic.